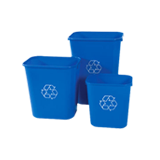 Change is constant so the ability to add, remove or right-size containers is critical to the success of any recycling program. 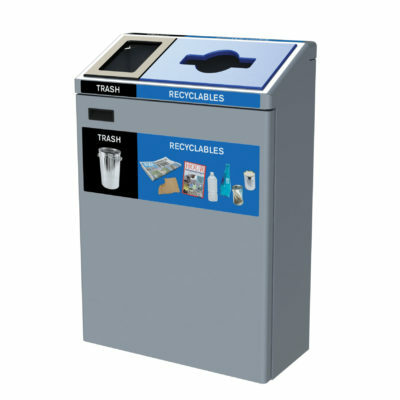 In most facilities, waste receptacles seriously outnumber recycling stations. 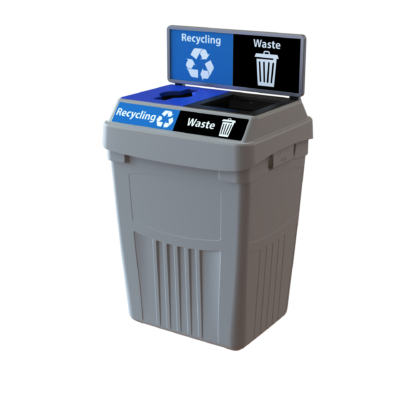 As a result, material that could be recycled or composted ends up in landfill and potentially valuable recycling commodities are lost. 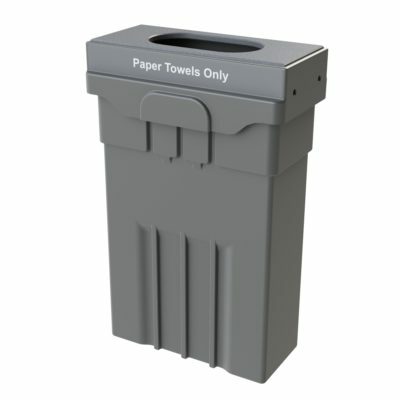 Future Ready products like our Transition® recycling bins allow you to change streams as needed and are so flexible that you’ll never have to buy a regular trash can again. Transition® technology allows you to add or remove streams in a snap! Our innovative top plates snap in place with no tools required. 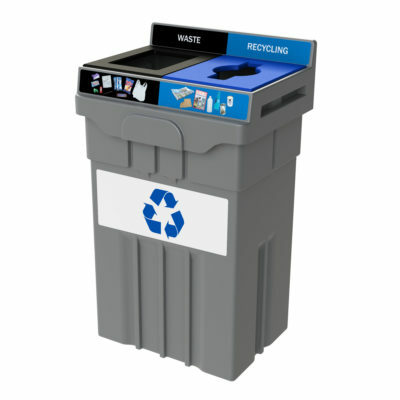 So you have peace of mind that your bin will change as your recycling program changes. 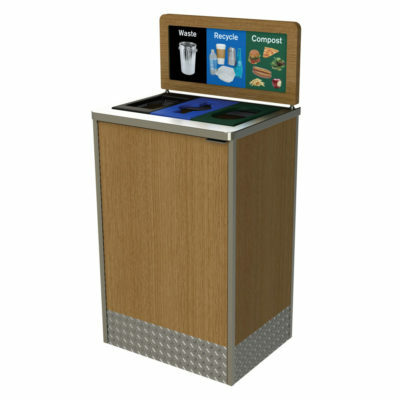 The TIM is the most flexible office recycling and waste bin available, it allows for the collection of one to eight streams in one container. 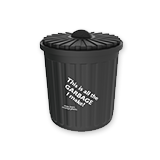 Heavy-duty casters allow the bin to be moved for cleaning and the front opening doors mean servicing is quick and easy. 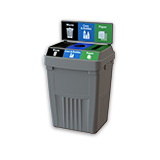 The Transition® divider allows for changes in the number and volume of streams. 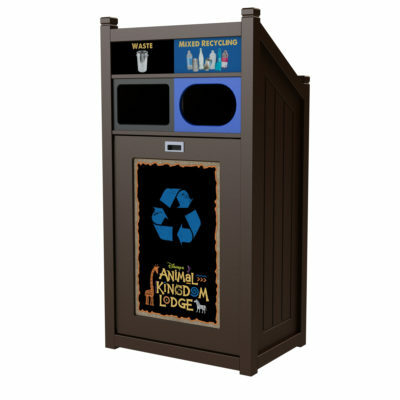 Includes high impact backboard graphics to increase the effectiveness of your recycling program and is available with optional door posters. The TRH is designed using a combination of our indoor and outdoor construction for a rustic style. 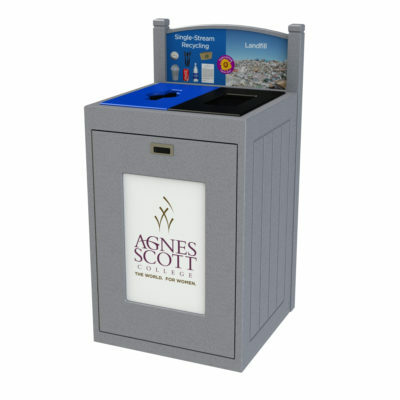 It features stream-specific, interchangeable openings and internal dividers that adapt to support up to four separate types of waste and recyclables in a single unit. 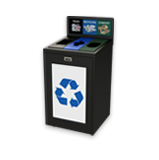 High impact back board graphics help people make the right choice when they discard their waste, keeping your streams clean. 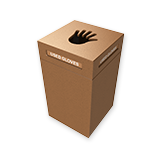 The Transition® TPM Container provides unprecedented flexibility in a compact footprint. 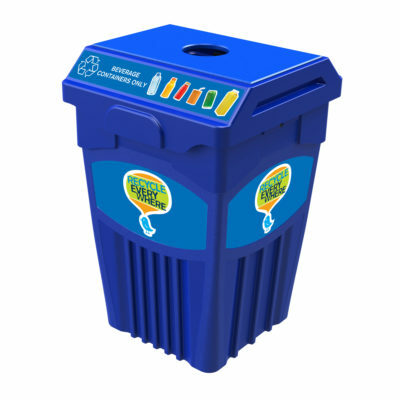 Molded from low density polyethylene (LDPE) made from up to 98% recycled content, it’s recyclable at the end of use which makes the TPM the choice of environmental stewards at all levels. The TPM45 is designed with flowing lines and a multi-textured finish and is able to nest inside itself for economical shipping and storage. 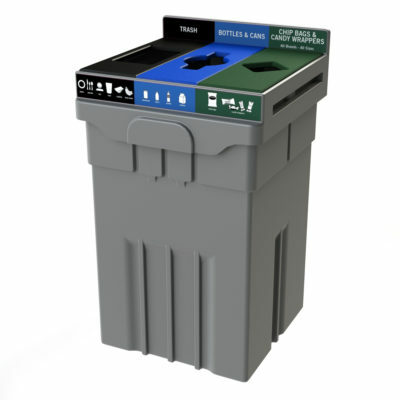 An injection molded rim insert adds unprecedented levels of flexibility when deciding on how best to “right size” the capacity of the streams in your bin. 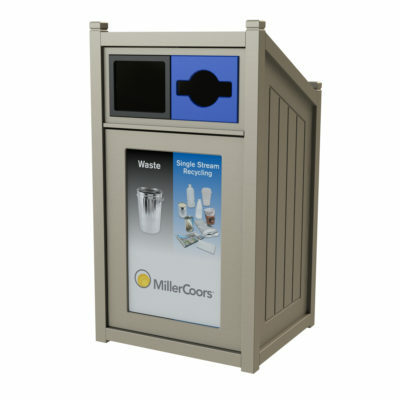 When adhering to fire code requirements the powder coated metal TMF is ideal. 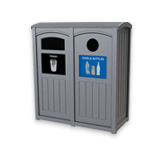 It can be wall-mounted or free standing and features stream-specific, interchangeable openings and internal dividers that adapt to support up to three separate types of waste and recyclables in a single unit. The TWZ combines elegance and performance and is ideal for when upscale aesthetics are required, Choose from a variety of laminate panels and top surface materials to suit your interior design. 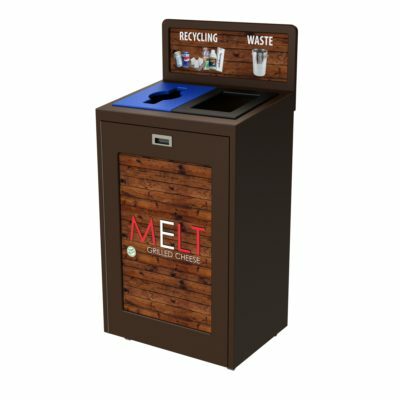 Features stream-specific, interchangeable openings and internal dividers that adapt to support up to four separate types of waste and recyclables in a single unit. 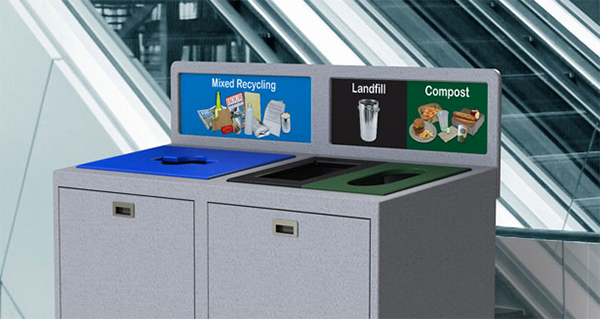 High-impact graphic backboards help keep your recycling streams clean.